This Easy Vintage Lace Designed Chair looks great and you will be amazed at how simple it is to create. 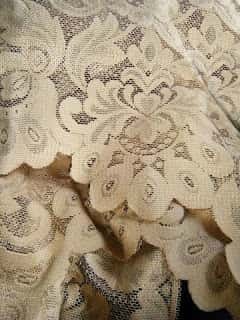 The lace pattern has been created using a piece of curtain lace. 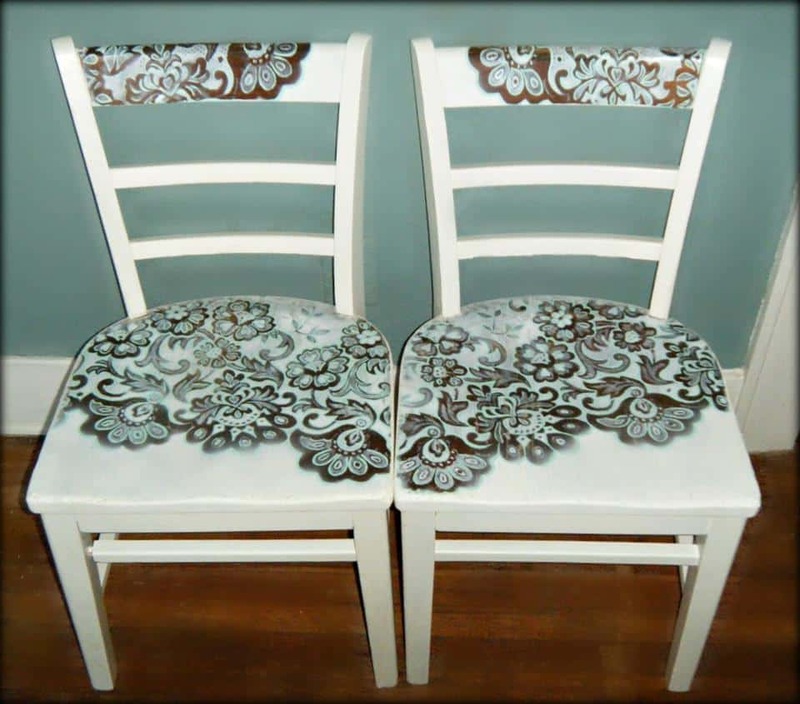 Materials: chair, a lace curtain valance, flat white spray paint, colored paint if you wish to add color and clear lacquer. 1. Tape the curtain into place where you would like the pattern to be. Cut it to size if desired. 2. Spray over the lace with the white paint. Remove it carefully, don't let it dry so much that it sticks to your chair. 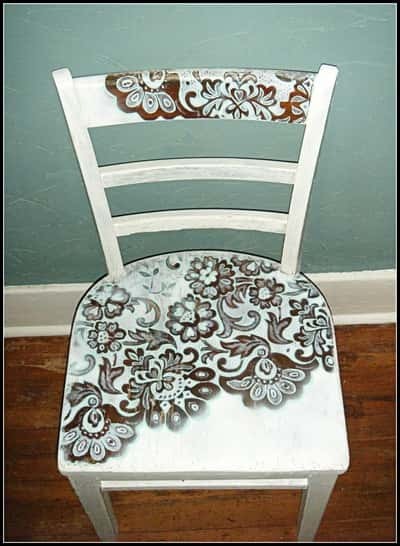 When you remove it you will see that the original color of the chair shows through where it was covered by the lace. 3. Hand paint edges and add some color if you wish to neaten your design. In the images below a small amount of turquoise colored paint has been used to define the design. 4. Paint the rest of the chair white. 5. Seal your design with clear lacquer so it does not wear off with use.